Dates Kiosk Shop (Valletta, Malta) | Simple. Tasty. Good. This morning after breakfast we decided to visit Valletta, Malta’s capital, to check out the Dates Kiosk. We were quite looking forward to the busy city atmosphere because Marsaskala (where our rental apartment is located) is pretty sleepy around this time of the year. So off we went and hopped on bus #91, direction Valletta. About an hour and (witnessing) 2 car accidents later we arrived at the island’s biggest bus terminal in front of the main gate of Valletta. Spread along the pavements as you approach the gate are quite a few food stalls that need special attention. Watch out, there’s some serious tourist stuff on sale: biscotti, apple pies, nougat bars, fake honey rings… all wrapped in cute plastic bags and very cheap. They look appealing but honestly, skip that soggy trash. You should be looking for pastizzi: warm diamond-shaped filo pastry pockets filled with ricotta (tal-irkotta) or mushy peas and mint (tal-piżelli). These are very popular and are sold almost everywhere on the island. 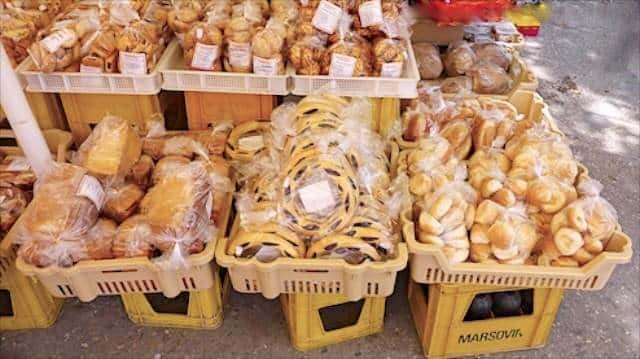 The Maltese people like their crunchy pastizzi for breakfast, as a snack or as quick lunch. You pay a dazzling 30 eurocent a piece… If you see them, go for it! 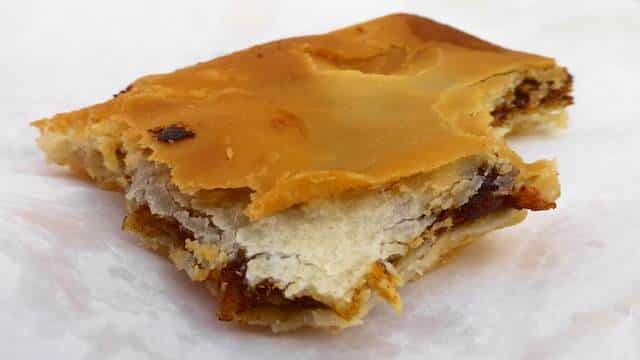 Like I said: fresh pastizzi are very easy to find but I wanted to talk about another Maltese specialty I haven’t seen often around here: imqaret (also spelled ‘mqaret’) or date fritters, also known as date diamonds. You can eat these the whole year round. They are very popular especially around Christmas. And where’s one of the best places to eat this sweet treat? 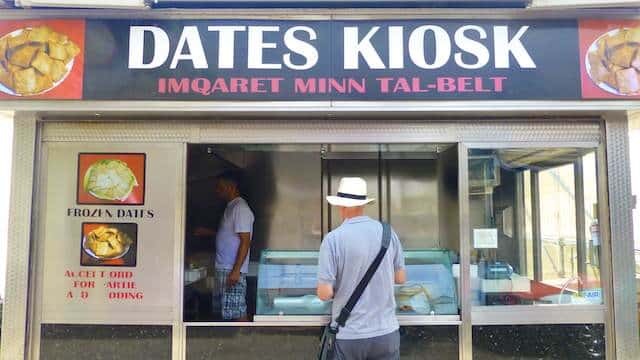 Right near the Valletta bus terminal square, and it’s called the Dates Kiosk! Bakers sell the freshly fried pastries piping hot in paper bags which also makes them a very popular take away breakfast or snack. Price at the Dates Kiosk: 30 eurocent a piece. Some restaurants even serve imqaret for dessert accompanied by a scoop of ice cream. One thing I want you guys to remember when you’re planning to visit the Dates Kiosk: this place closes around 1pm on Saturday just like most of the other food stalls at this bus square (and many other shops in Malta) so make sure to have a go at them when you arrive in the morning instead of trying to pick some up when you leave Valletta in the afternoon. Another remark that may be useful. I mentioned earlier on that some food stalls sell wrapped cookies such as date fritter replicas. Don’t get me wrong: these are OK but far from the freshly fried fritters you buy there. 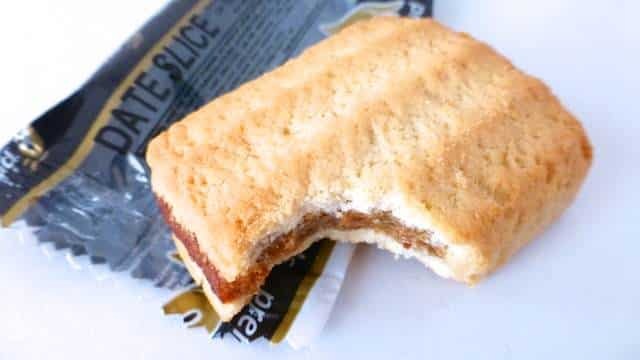 In fact, I got one of these dade ‘cookie’ slices during my flight to Malta! Here’s a little background recipe information for the aspiring foodie-chefs amongst you. 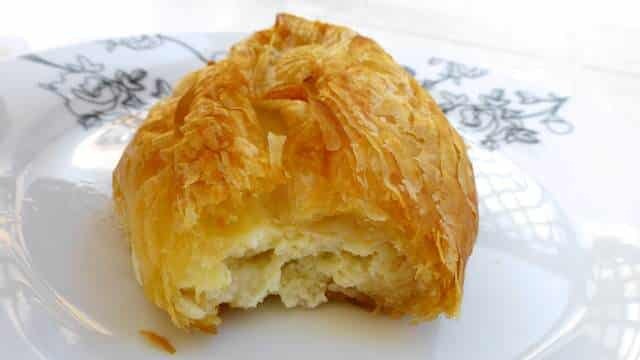 The pastry consists of flour, butter (sometimes replaced by margarine or olive oil) and sugar. The date filling is a sticky mixture of pitted dates, sugar and tangerine zest or juice. You basically prepare the dough, roll it out, cut it up into rectangles, spread it with the date filling, seal into pockets and fry them in hot oil. 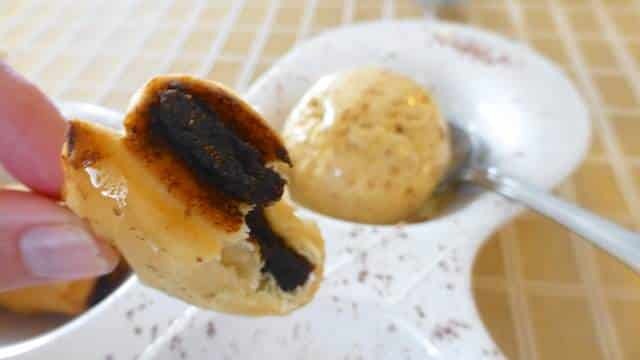 For more Maltese sweet treats: check out this post!